My dad use to tell me, get educated, don’t use you back for work use your brain. I put myself through college and got a degree. I even had a good job with my own office for a while. Yet here I am working with my back after retirement. Almost like all that education, training etc, meant nothing. However I would not be here if not for that. Everywhere we are, is because of where we have been. Once in another past life I was an Auto mechanic. I worked for a car dealer, so yeah I was a serious mechanic. I recall in the 70’s I was working for a Buick dealer, when there was no work, no car at the moment, we would hangout and wait for a job to come up. I would go sit on a large storage shelve unit, crossed legs and just mediate, of sorts. I did not know what meditation was back then. People thought I was just sort of strange, off to myself sitting cross-legs just watching stuff. For me I was just being in the moment. These days I flash on that again, while I wait for the group at the “Silver Center” to organize and go out into the field of whatever day job it is. I have been called back to work for the summer to work at the “Silver Center”. I do not hate it, but do not like it. The money is helpful, the exercise is good for me. I do wish it more year around at something, than only 6 mo. There is other stuff happening though out the year I am sure, but just not for me. What is the Silver Center? It is a city own company/ operation that hires retired people, older than me, to do mostly in my group, landscape work. Like clearing overgrown bush in parks, water channels, yards, sometimes pickup dead flowers and stuff from some local shrines, trimming trees, helping some old person clear a house, or something. When the weather is cool or mild it is not too bad a job most times. Summer, like now can be brutal. Working out in the sun, sometimes on the side of a steep hill, mosquitoes! The big issue I have some times, is there is no toilet, for function #1 , no problem , just go off to the side stand and go. #2 can be a problem. I have to watch what I eat the night before and try to go before I leave the house or shop into the field. There are some places I know where a unit is nearby, a temple, convenience store, on the park grounds. Those are the good places. Some times there is none and I spend a lot of time hoping the morning weird stomach goes away. A couple of times it did not and I had to become a basic animal in the woods…Either way the first thing I check out on the work site is, where is the Loo? The getting up at 5:00am used to be a big deal, now not so much. Except when it is dark and cold. 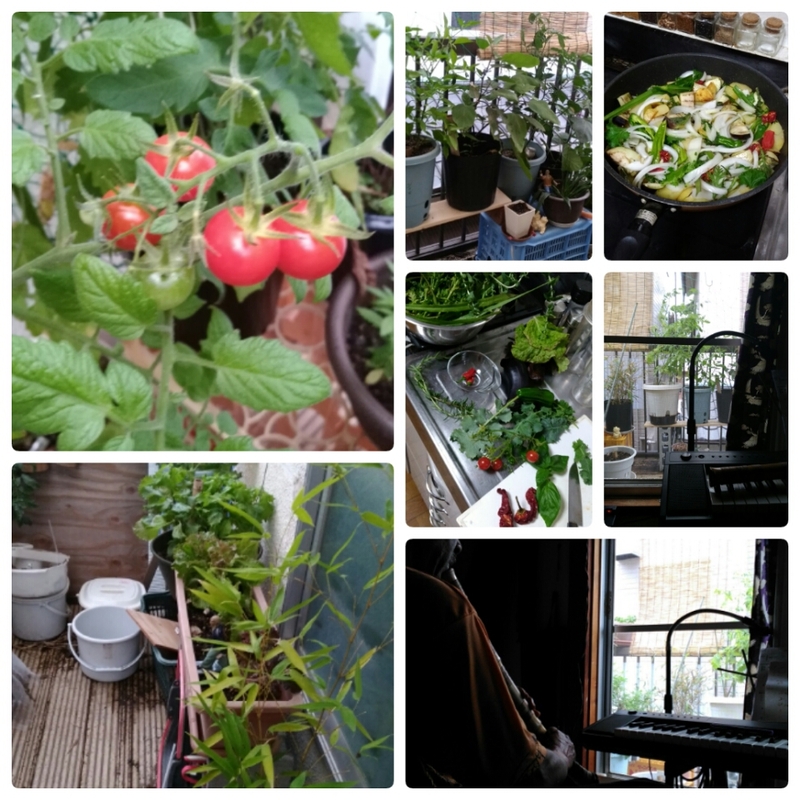 At these times now, summer and hot, I am up, water the plants, Zazen, eat, then off to work. I stop on the way to do some TaiChi/Hsing Yi. So it is good to be up early and get that in before the heat. I ride my bike to work about 15 min. The group has already done their Japanese Morning warmup when I arrive. Usually I stretch then just Zazen off to myself. Lately a couple of people will come over to me and ask for some kind of Qi Gong /accupressure treatment on their back or shoulder. I helped one guy I like before and the word spread, I can “do stuff” being a Shaolin Sensei. Some of these people I work with have never seen or talked to a real foreigner before, I am “unique” Some of the new peeps are surprised to see me. The older crew already know me after 4 years and are quite comfortable . I can play and joke around with a few of them and they back at me, including with the job foreman. They most times think about me when buying the group coffee and get me tea or juice. All are a nice bunch of guys. Most of them are older than me and yet hold their own out on the field. Even though I get some of the heavier lifting jobs, well most, they all when needed will do what is needed. I see some old guys who look like they are struggling when walking, climb up ladders and trees to cut stuff, or walk along on steep hills where it is hard to walk much less walk cutting growth back with a power machine on your shoulder. Yet these guys do it not complaining other than, “It is hot isn’t “, the normal saying here. 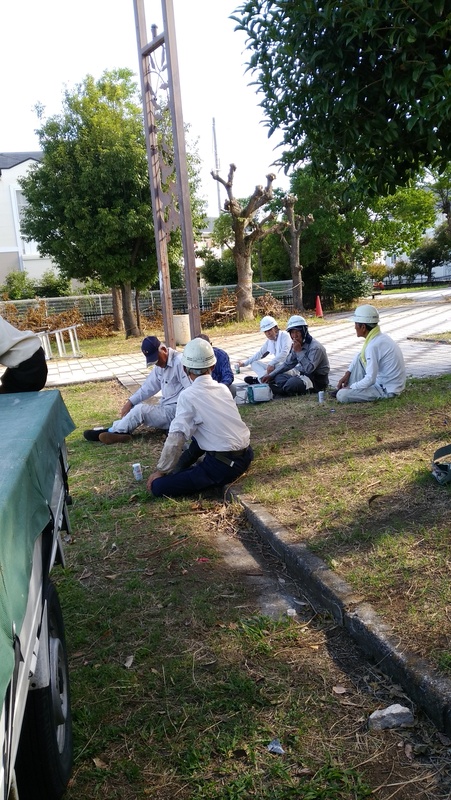 I have seen a couple of new people stop working or taking a break , (of which we take a lot in the heat ), at the wrong time, and get scolded by someone, not a super or something just a working guy. Overall people get along and look out for the group. If someone stops at a store for a drink or something cool, they will bring enough for everyone. Everyone stops what they are doing and take an unscheduled break. When we are working everyone has their job and work as a whole to finish, sometimes switching from role to role as needed. At lunch, sometimes we sit as a group and eat then nap. Sometimes , and some places I can go off to myself as do some others, eat, practice my Shakuhachi and or take a nap. We regroup after lunch and back to the task at hand. I miss working at the boat yard in some ways, it is/was more skilled required. But the owner was/is not a kind person. One felt weird when on a break which was only 15 min once a day. On the other hand at the Silver Center when we take breaks, no one get paranoid when the “boss” shows up. Our break is our break, and we have them as needed. If we are on break when a supervisor shows up, he will speak to just one person the header or sit with everyone a short while, sometimes bring refreshment. We do not have to feel weird when the “boss” is in a bad mood, or really anyone much, we have our assignments and do it. I am usually a raker and or a dead/cut bush loader. Either into a trash packer or the back of a dump truck. I can put on my face mask for the pollen protection and stuff,. I get really bad allergies from the dried plants here in Japan. Near had it in the States even when I did this kind of outside work in Virginia. With mask on I turn on my iPod, and just work left alone or alone in a group. Really the only days I really hate is when something has to be done on the side of a hill, unless I am on task on top of the hill just pulling up bundles of cuttings and loading them into a compactor or something. Sometimes I have had to load up a pitchfork full of cuttings carried on my shoulder and walk up hill or a distance and uphill, because the access is that difficult. Sometimes, it is rake and compile on the side of a hill, lift the cuttings over a fence and down a another hill or something, all to be collected and loaded on a truck and taken to the city dump, where it is burned. Sometimes we finish up early and sit around chatting so not to get back to the office too early. Since I do not chat well I usually, but not always go sit off to by myself in Zazen and some point think back to being a mechanic sitting on a storage shelf…and feel grateful. 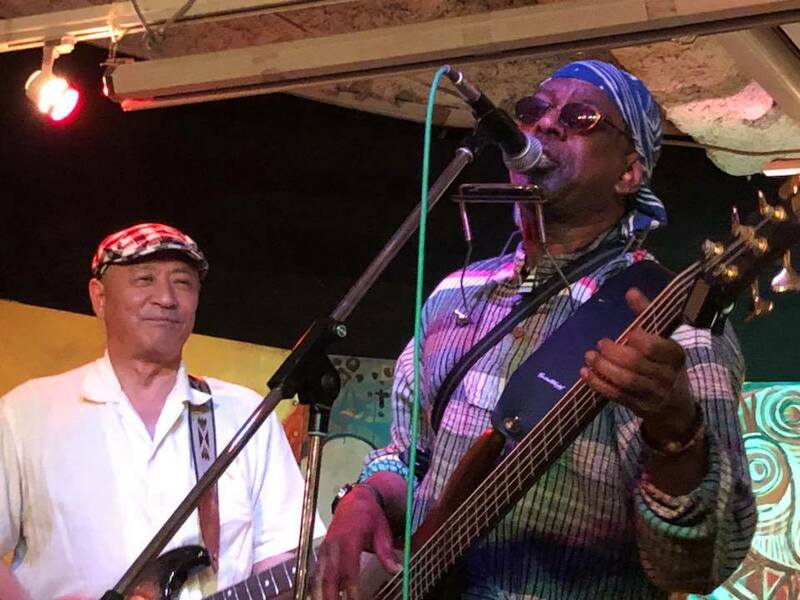 I recently wrote about the last gig, a real gig with the Doc’s band. Overall it went ok, good even depending on one’s view. I receive a FB message from the Doc asking if I would like to play with him at an up coming event at a local live house. This is the Doc’s favorite spot. He hosts a blues night there twice a month. I stopped going because the owners wants his band not only to host, but to play most of the evening, AND pay to get in and pay for their weak drinks. Oh hells no! I have said! So, there is this event on Monday coming three days away from when I was asked. This event has been planned for a while and it was known about again for a while. He chose to ask me three days in advance. I have bitched at him before about this. He asks me, can you play with me on Monday I do not have a band yet. Such n such the keyboard player, I was expecting him but he said he is busy… So there is just, the house drummer and him, I am told. I simply said I pass, enjoy yourself! In America there at one time was something called a butterball turkey. Maybe it is till there. Since I stopped eating meat I do not know. This turkey had a little button inserted, so when it was finished cooking and ready, this red bottom would pop out, that was your signal it was ready, done! There is an expression in the States people say when they had enough of something, they say I am done! Or stick a fork in me I am done! This latest thing with the last-minute call, invite to play was my red button, it popped! The straw that broke the camels back some also say. I was done! I sent the Doc a formal resignation notice, thanking him for the pleasant times past, but my attitude and goals for playing was not compatible with his, for his band, and as everything has a time and season, this was mine for officially leaving the group. I got a note from one of the other bands asking if I was available to play at Chicago Rock in Sept. the day after my main other band plays. :-). I said yeah, I am in, let’s do it. Another message from a keyboard player I have done shows with in the past, asked me a few days earlier if I would do a spot at a seaside festival I had played at last year. The wife-owner of Snafkin wanted to know. I played at this event two other times before, last year was with the Snafkin owner before he passed away! I am in I said! My other band asked me if I had a friend to play drums for our gig at Chicago Rock also in Sept. Yes, I am playing in Sept at Chicago Rock, three times with three different groups. It is not a big fancy club, but it is a known club and a good stepping stone and testing ground. So…Wwow all these people organizing their shows months in advance! What a concept! Professional minded players, are real, it is not just a fantasy in my head. The blue collar post is written, it will post next. Ok so shoot me this is not about working blue collar! coming soon… Meanwhile. It is/was Tues, traditionally Kimono day at the Kyudojo. There was part of me that did no feel like going. Partly tire from the heat and working the day before, partly being lazy, there is some travel envolved, anyway, I knew that when one is feeling like that the best thing to do is just just do it. One usually gets an extra benefit, the universe seems to work that way. Maybe a balancing thing to the extra effort to get there, or do that thing. The universe, balance is it’s thing. Yeah , so off I go to Kyudo. Having a practice means discipline if one wants to advance. I want my name moved up in the member board at the dojo. We were speaking about the board and placement today. At least some of us were, I mostly listened and tried to figure out what was going on until I had enough, lost interest and did some shooting. Ummm yeah , I went to Kyudo and met one of my buds a the front desk. She told me some things about the class today , most of which I not understand but the gist of it was there was no formal class today, because of several reasons, all of which meant to me no class…just practice. Because some of the things she said I did not get I kept my eyes and ears open , prepared to roll with whatever. 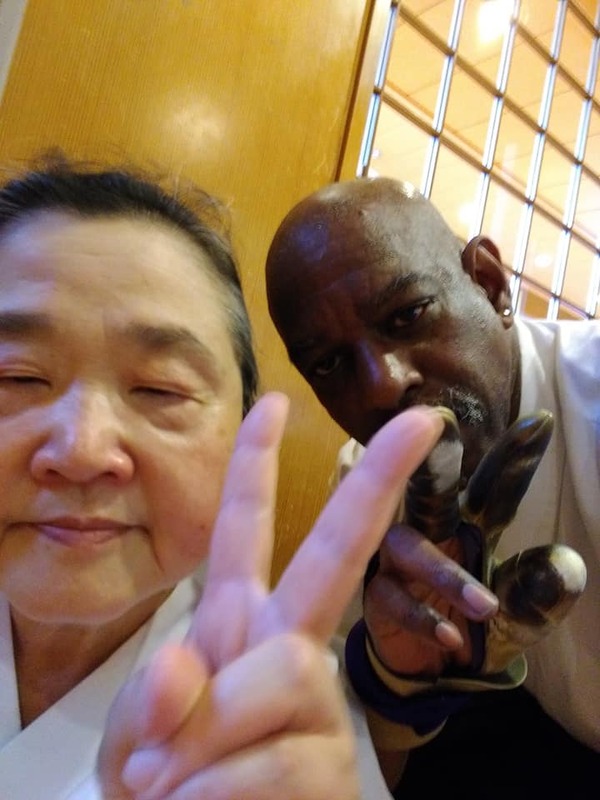 I went upstairs to the dojo with her, passing some Senseis that I thought she, my bu said were not going to be there or busy. Ok , roll with it mode engaged. I entered the ojo and did my greetings and started to get ready to shoot. As I was doing so I heard talk of class today. People counted, some more talk, and then we all decked it was going to be Dogi wear and solo practice. Ok cool, with me. I wanted some time to just shoot. We all had at it. We chatted, practiced and chatted. At one of these chats was the ranking name board discussion. It is interesting, I get very little of what is being said, but enough so I can follow some conversations, but everyone speaks to me like I understand and I am part of all that goes on, not the gaijin. I have heard several times over my time here, something about oh, Yeah, I forgot you are not Japanese. Then try to explain what they said. I dislike getting them to stop talking, because they are saying something I do not understand, because it stops the flow of what is happening. Unless I really can not get what they are saying and it is something I have to say beside yes or no. I need to go…eh??? And then comes tying to explain it in Englishanese. The adventure! Interestingly at some point I get it! I find it all most interesting to be where I am and flash-on where I am from. What a long strange trip it’s been. So yeah, while we are chatting the main Sensei comes in. I have not seen him in awhile. I greet him and say long time no see. He says ohhh, you are still practicing, or here or something like that. Another bud of mine says, with a laugh, yes of course he is always here with us. Everyone chuckled, I did not get a few words said, as I was walking away as was Sensei. So we all practiced, chatted, etc. Two of the sensei that uasally run things and that I passed in the hall, came back in after awhile. One, the Kaicho started shootings and helping people. After a while of shooting the head Sensei comes out and watches me shoot. He is not please but not displeased, I get a few corrections. He says he will check me again before I leave afte he finishes what he doing in the back. I say ok thank you, an settle in for more practice. I was not exspecting this, it is good, but surprising. I had tried coming in a few times when I thought he was there , but he was not. He is a detail orientated guy, beside being the head of the Kishiwada chapter of the Renmei. He is the one that signs my papers to go to a Shinsa. So it was good to have him check me. I practiced, he came back, just before I was ready to leave, after extending my practice time to three hours instead of two. 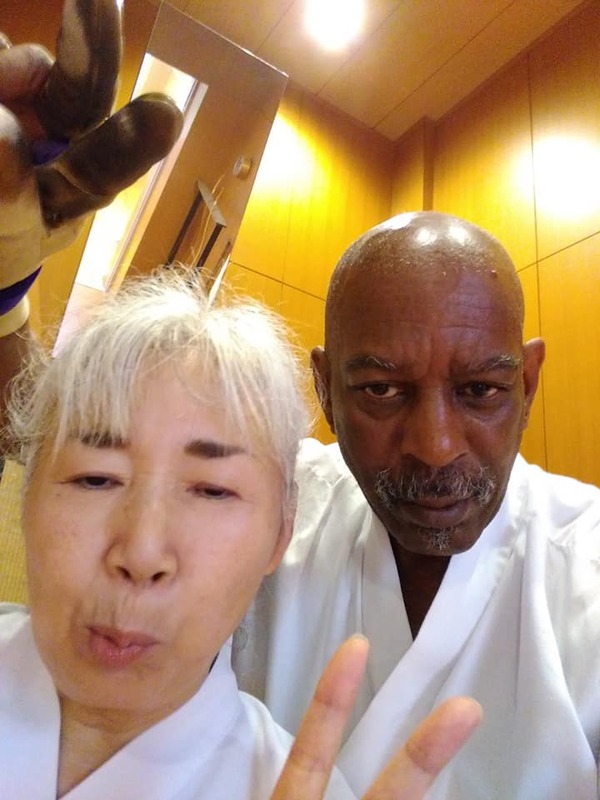 I got a correction, adjustment on my daisan, the final section of my hikiwaki, tenonuchi, right elbow in Kai, yumi placement on my knee and why, the correct fingers to use to knock the ya string. A lot of small things, nothing to help my hitting , but I have learned that yes it does, just not right away, but it will all come together, I just need to listen and make the correction. A Zen master once told me, there are times when things happen, but they show up later. I am certain at some point all will click into place with my shooting, and I will ascend to the next Plateau and I will have my “act” all together. After Sensei gave me my second check, he said something I understood to mean it takes some time to get corrrect. I replied little by little, he nodded yes. All the drama around here finally stopped. We had earthquakes and floods. All close to home but thankfully not at home. It would have wiped us out! All that I have left is what is in my lil studio. It would have broken me to lose what is left of any dreams or life. However Allah be praised it did not happen. So yeah the band. This is the Doc’s blues band I am referring to. 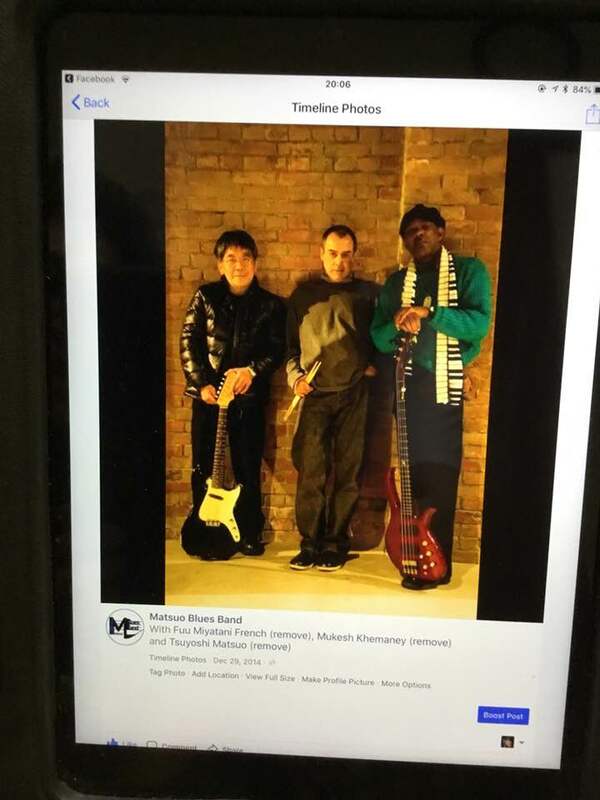 We have not played together since April the Sakai Blues festival. 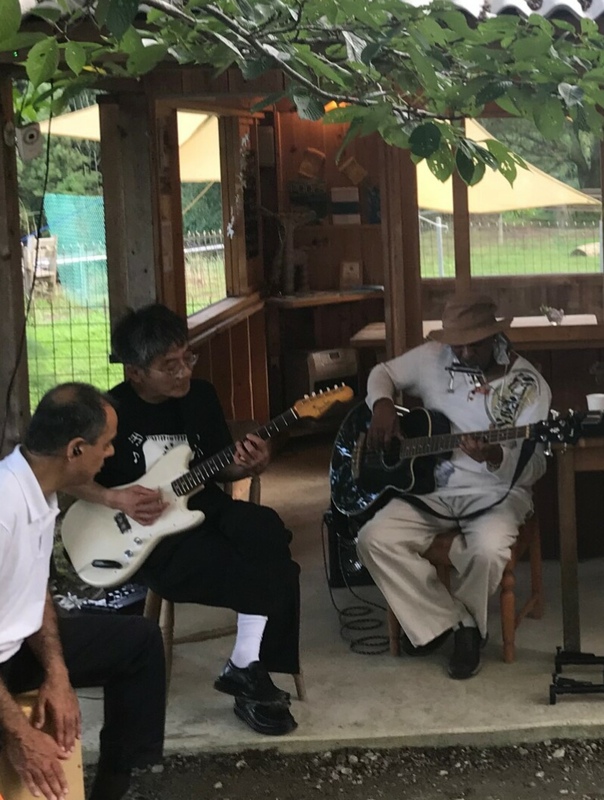 I got a notice from the doc there was a spot for us to play at some Sri Lanka restaurant in Nara. His girl friend had arranged it. We were to play and get a dinner for our efforts. The Doc was going to drive us there , in his Electric car, so it would not cost me anything ok. I said with some reservations. This is about a two-week or more notice. Ok, I agreed , but I Did not say or ask anything else, as I usually do. I wanted to see what would happen. I was told ( not asked told) to sing a certain song by the Doc at another place I met him at. A gig with my other band. I wrote about that. I said no! It was a nice drive to the venue. A nice place, sort of a farm, restaurant setup. One would never expect it in the Mtn of Nara. We arrive with no problem, and settle in a bit. The drummer shows up a while later. We setup and get ready to play. Then the Doc says, ok what shall we play? I was not surprised at all!! . I just shrugged and left it on him. He picked a song, me going first, I had planned on this song anyway, o just rolled with it! Just before that the drummer tells him he should speak and intro the band and all. Ok we get started. I am struggling with the tuning of my bass, it is way off. Still we make it through a couple of songs. Then I hear ok, it is your turn to do a song the Doc is talking to me. The Drummer says yes please, we are not looking to good, do something to save us. I think…hmmmmm, again. The Doc says, oh I heard you do “killing floor” the other day, do that! I say No! He says why not?, I respond irked, because I am NOT doing it, that is why. I dislike being told what to sing by him, I dislike not having a song list agreed on by the band, I dislike waiting until we are on stage to discuss what song to do. I dislike playing with no practice, especially on songs not done before. I chose another song and we went through it. It was not too bad, I am still having issues with my bass tuning! We do a few more songs, I forced the Doc to choose, sometimes by just starting to play them. His songs. We made it through the set and took a break. For the next show set we setup outside. There were more people by this time, not a great amount, this is a afternoon gig, not a niteclub/livehouse. I am asked now, not told, what I want to sing, by several people. Ok I do a song, then afterward it was kind of like the band stalled, the Doc was not leading. I started just playing some open songs cords to just jam on, the drummer kept right with me with different timing and beats. This went on for a while, I start something, the others would follow. More like I am leading a Jam session not, running a show. Over all it went well. The people enjoyed it. I found out we had collected some money from “tips” . So it was overall good, with the tip, the food was good, the place was nice, and we got decent pocket money. I was happy…at least with that…the band leader, not so much! I said nothing about his lack of professionalism, it would be pointless, I have been there before. I just need to decide if I want to do this any more. The thing that bugs me, is if one to going to name a band after themselves, they need to have their act together, be a really good player, or singer or businessman, or have great stage presence. He has none of those qualities. I am always called on to sing and save the show. Sometimes feeling like the show monkey the way it is done. He is not a bad guy or a jerk, just not professional in skill or attitude. I understand why as long as he has been playing around Osaka he has no one else that will play with him in ‘his” band. Anyway this is not a post to rag on him, much but the show report. The place was nice, the mountain side was nice as was the weather after the big storm. There was no trace of it here. The Shi Lanka food was good, it looked like Indian but not as spicy and the taste was a little different. I would eat it again if there was a place nearby. I saw pictures of the Chefs from Shi Lanka an I could see why I was chosen to play the Shi Lanka President on Japan TV before. No idea when this band will play again or if I will be with them. My other band, the main one, Sieki band will be playing at Chicago Rock in Sept. I have a single jam thing planned with the drummer in Aug also at Chicago Rock sort of a pre-test and low key audition for me. Growing one’s food no matter on the scale, gives a sense of connection to the world, life cycle without the blood of hunting. It is sort of satisfying the God complex, like ceramics because you are creating something from dirt, but in this case you can eat it, instead of eat with it. I spent most of the last couple of days, practicing Shakuhachi and working in the “backforty”. This year I really feel the blessing of having this space and see the results of my efforts in the landscaping. Both in the front Zen garden and the Back Forty. Same purpose of growth, different missions. Sort of Yin and Yang, eye and body pleasures. Whatever. 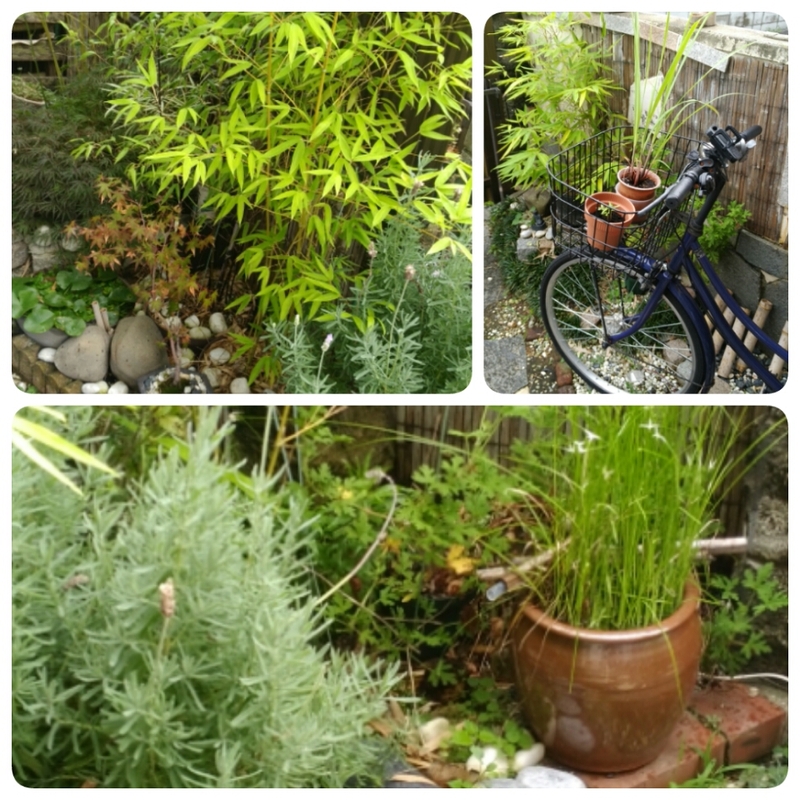 The front theme Is the bamboo, a couple of small water ponds, some fragrant plants, a couple of herbs. Gives a sense of peace and simple beauty. I still have the image of how it looked when we first moved in. so different now. 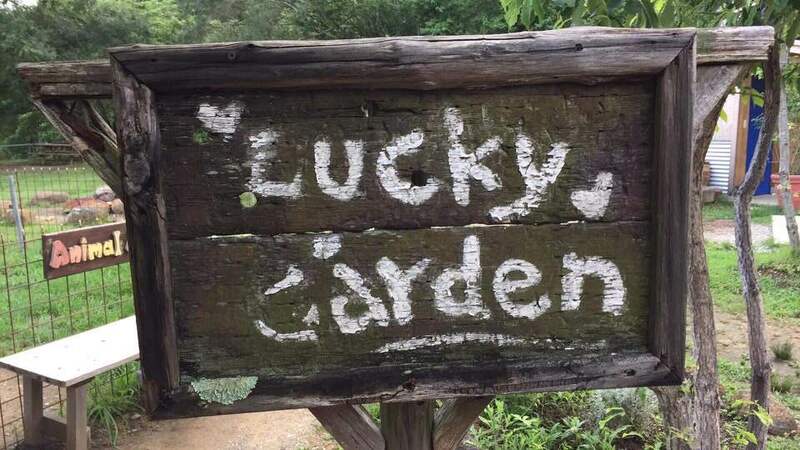 The Backforty is about growing food and herbs. The front was tried a bit for some things, because of the sun, but the bugs overran the things. They seem to be less on the Backforty. Not sure why. More other plants around in front, dirt, ?? I have finally figured out after 5 years what grows well, in what spot, and how much to grow since my use is measured and my yield is small. The main stay is lettus, kale, tomatoes, basil, peppers and few misc herbs. This year has been the most productive. I will try potatoes next year or later this one. It maybe too late, for this year, Unknown… some research needed. Some grown things really add to the table, something are just treats. It is all worth the effort, the sense of “gangster” for growing your own, the flavor!! The spiritual sense of connection to your food. During the storm I sheltered myself indoors and watch and listen to the storm. I would practice my Shakuhachi during these times. 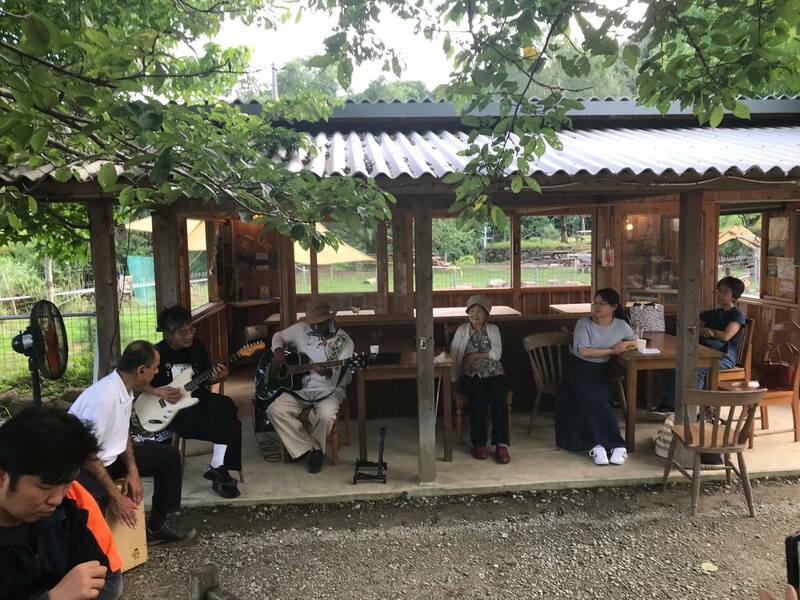 I was told by my Komuso sensei about connecting to the environment was an important part of playing. 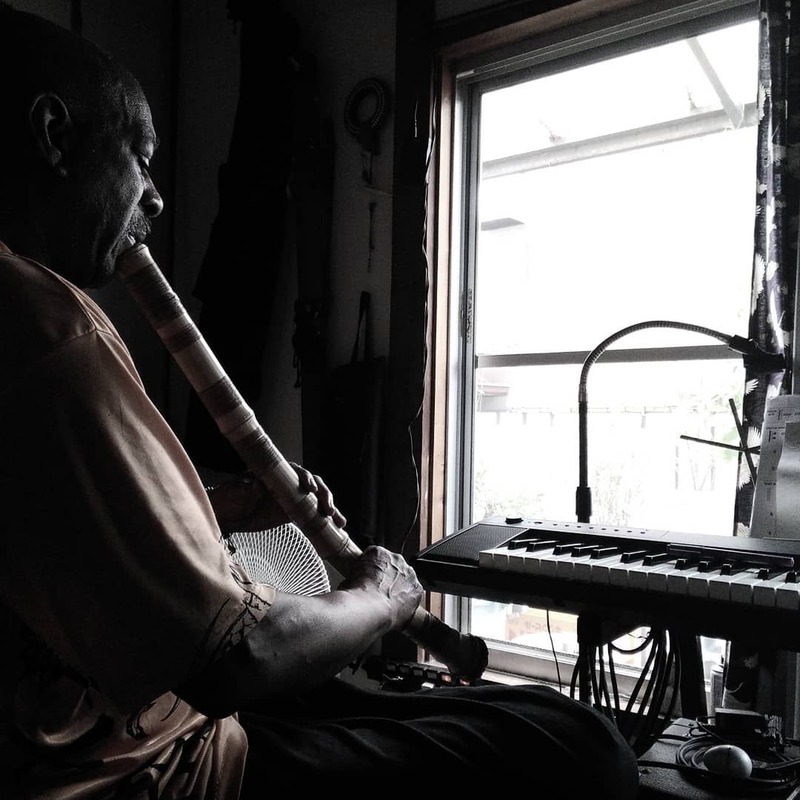 Today and yesterday I sat at the window, feeling as if I sat on an enclosed patio and played. The storm blew, I blew, we blew. On one song the storm and my energies blended and as I played, the storm followed , or I followed the storm, we ended at the same moment, like matched lovers. This last month got to be petty busy with the music world. I got to be playing with four different bands. Three of them were suppose to be paying “gigs”. People are too casual with that word thee days everyone is using it. Suppose to be a paying job for an artist! Key word here paying! In Japan they use it a lot, I guess because it Is cool to say. I was asked to play bass for a band whose singer knows me. He is from New Zealand and plays hard and sings. He invited me to play to fill in for the bass player. Ok I said. Another fiend was invited to play keyboards. The same keyboard player I am in the Sieki band with. It was supposed to a paying by the door job, but it ends up we had to pay. I was not pleased as it began to unfold. First thing it was we pay 5.00 and maybe get something from the door. Then it was we pay 10.00 and we get nothing, because of the earthquake. I was very displeased. I went though with it only because I had given my word. However, Now I know about this club and will not play there again like that! It was/is a nice club but I do not like the musicians pay policy , that is BS! The next band I was invited into by the keyboard player, from my other two bands. The keyboard player is well known and plays with a lot of people local. He is also Loud and gay so he stands out. He Is a good guy and contact. We are friends, the Kute and Kool Kuruseders. I played with this group number two with him, the first time for most of us. The first the first group where almost everyone was around my age. I was asked to also sing a couple of songs. Everyone sang two songs for the show. We worked out and played good together. All had good musicianship not being kids. The main guy is pretty famous around Kyoto. We played the club well and ended with another booking for Sept I think it is. We did not get much money since the “door” was split between two bands that played. The spot is one of the main Blues clubs in Osaka. I played there before with the Doc’s band before the invite was cancelled. It called Chicago Rock. The name will come up again. Band three is the Doc’s band. I have not played with him, that I can recall since the Blues Fest. 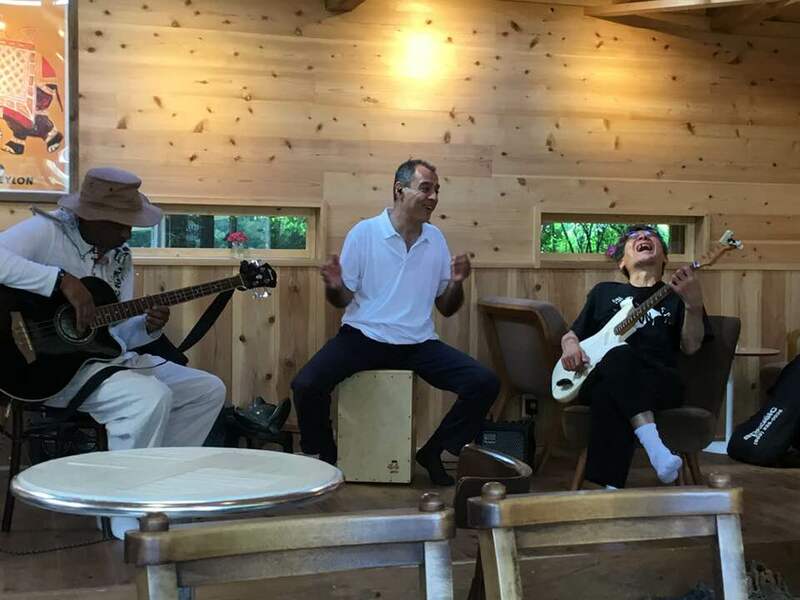 I wa asked to play this coming weekend in Napa with the band, his band. At fist I though it was jus me and him. I was close to saying no. However my wife thought I hold go to help him since he did get me started in the area. The group is supposed to get free dinner and drinks at the ShriLanka vegetarian dishes resturant in exchange for playing. Also the Doc was driving us out to the Location in Nara, on top of some mountain. None of which I have been to before, so ok. I said yes. Later I find out the drummer is also attending , so the original trio is going on a road trip again. I am not looking forward to this, but the food maybe interesting. My first time for that although looks “Indian “. I played the president of Shri Lanka once on TV here and my youngest was dating a woman born there. So it is a bit more tan casual interest to visit this place run by a native Shri Lankan. The fourth band is my main band. We had the hosting spot at the guitar player’s father’s club. 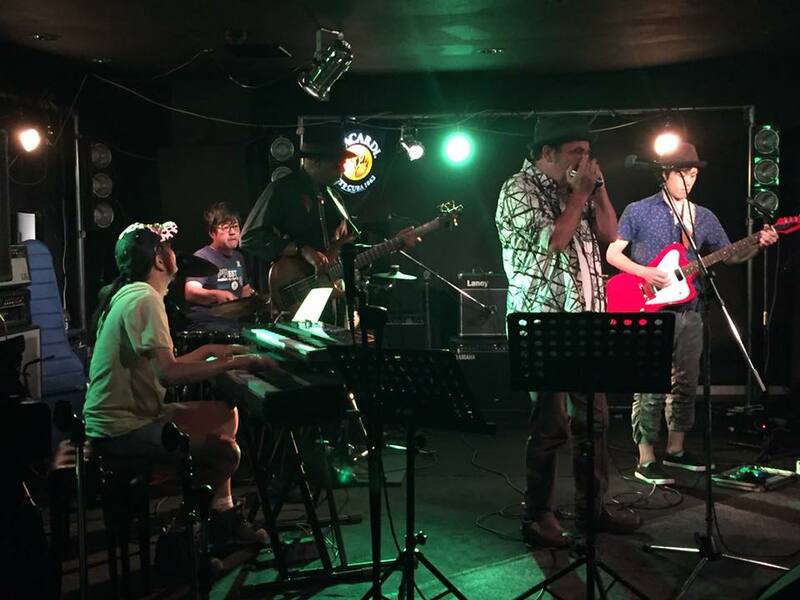 Monthly blue jam sessions, the house band plays with others and also does a full set alone. It went well. We are starting to sound fairly tight, like real band. There were flyers post on FB about the show. I was surprise to have some people I met a couple of years ago returning to Japan, show up to the club. They seem like a nice couple about our age. I made a temp plan to couple up with them over tea or something once my wife is less occupied. We do not have any couple friends any longer , other than my sister in law and her husband, since I no longer want to be around my former employer from WaterWorld. Also this couple speaks some English. We sat on the ame row on the plane from Cal. We do not talk much until the end and not since then other than FB. So yeah it was a nice surprise to see them. As I was making ready to leave at the end of the session , he says he wants me to do a song I did that night on Sunday at the restaurant. I said it is not the setting for that song, he tried to push me a little into agreeing, which irked me, anyway it will not happen. I am not being paid be told how to sing something I do not want to. Bottom line. That is a place that is sensitive for him to walk. The rest of the night went well. A song I was kind of questioning if would work, did work, mostly. Actually two songs. One was a first kind of song for this band. However that is what is good about this band. It Is not straight ahead Blues. Neo-Blues band I think is a fair label. The guitar player said at the show we are a “fake blues” band. We do not just do pure blues. I like that, I like my feet hanging out the box sometimes. I also have my solo venture to work on. I am attending a jam session this Thurs at Chicago Rock. I want to do a few songs with me on Keyboard and singing. 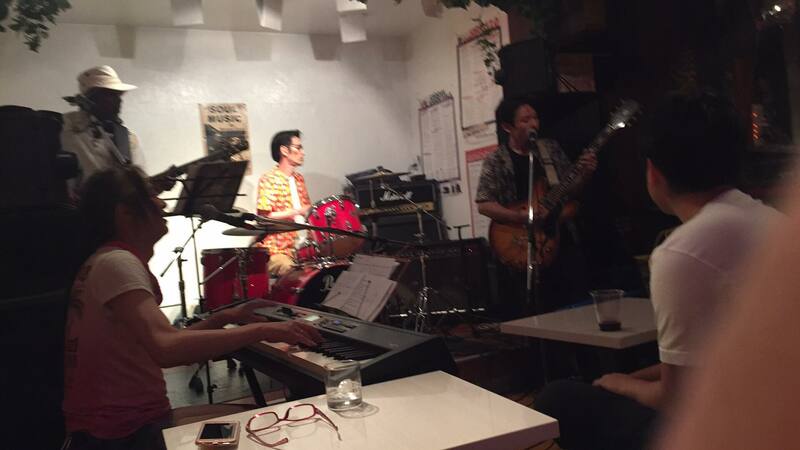 I want to owner to see me as a solo act as well a bass player. I want to get a spot there at Chicago Rock, even If I can play there four times a year doing my own thing I would be pleased. I can spread from that. 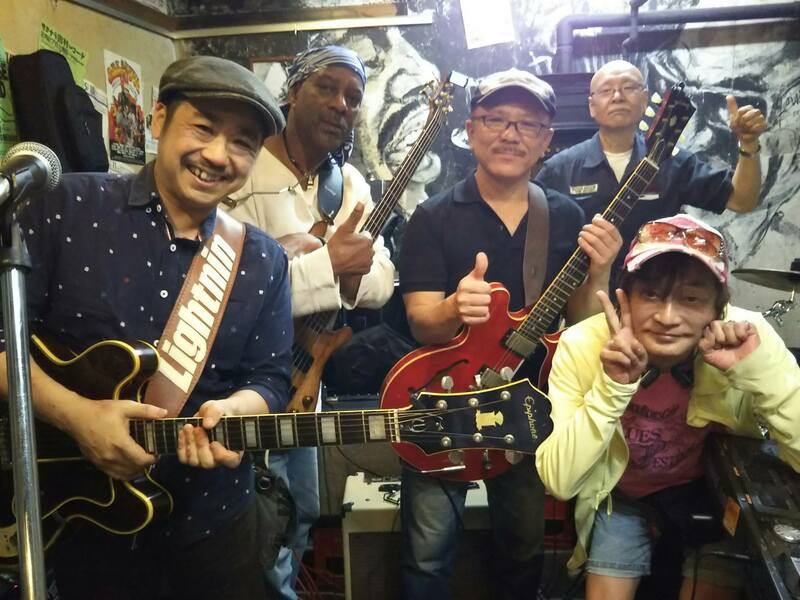 Chicago Rock is the established blues club in the Osaka Bay. 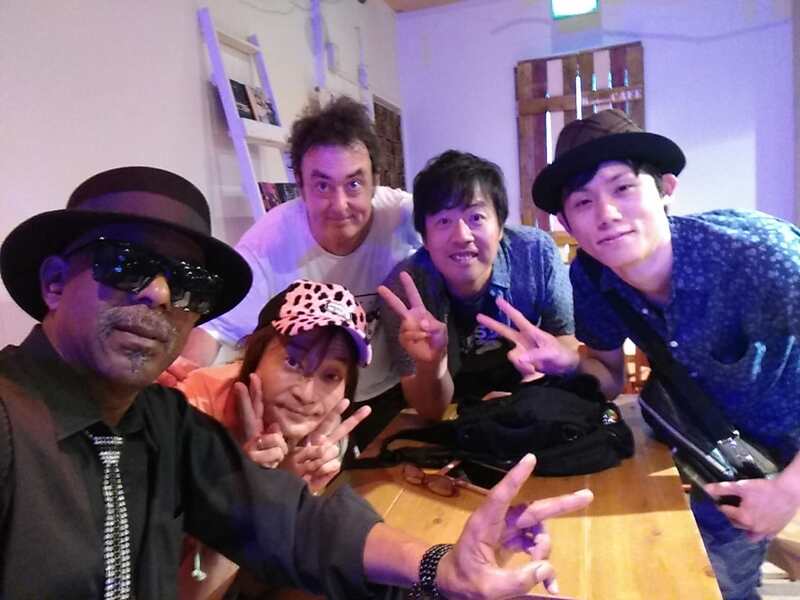 I need to build a fan base I want to play the main stage at the Sakai Blues fest and Hard Rock Cafe in Osaka. I notice more people peak to me when I show up places now. With having done a few more spots with “known locals” it is good exposure. On another side of the coin the music scene here is very different from the states. It is common for clubs to charge the band to play there. To me that is the pits on respect. The club only exits to sell to the musicians in some form. 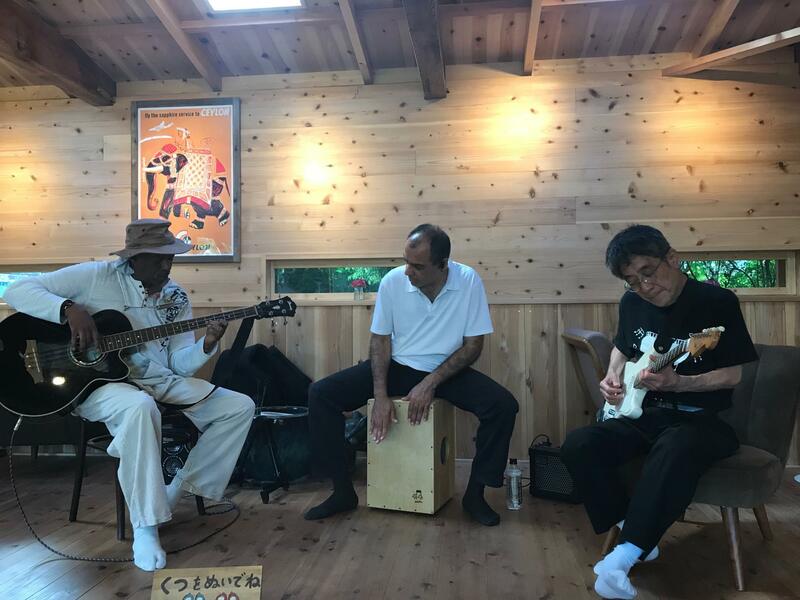 It is very common for one person to be a member of several bands, The drummer from Sieki band asked me if I wanted to play in a group perhaps a trio with him and another guitar player who showed up for the session. This guy is a friend of his. He is a good player, but too loud and wild style for my taste. Also the drummer is to me, is only so so, he is not versatile. Steady which is good , but his beats are limited. If I had to pick a band with the most potential it would be the band #2, they have the chops for playing mix bag, four people sing, we could have good harmonies, all about the same age. IN the mist of all this going on I took a trip to Kobe, and sat in on a monthly session there. I know a number of people there so it is good to see them and get to play with some different folks and some familiar ones. I went there a couple of times with the Doc and was embrassed it took me a while to get pass that and be seen as me and not his Bass player. The session was good. I got to play a couple cool songs I wanted with a full band. Even though I was a bit put off when told I should play bass not keys and should play Bass. I did not press the issue since the guys was running the show, he kind of power trips so I let go, We seriously raised the roof with the songs! I was so bummed no one got a recording , that I know of. There were pictures but no music at least long enough to enough. Too bad it was off the hook! In the recent news I find out the Sieki Band has gotten a spot at Chicago Rock in Sept. on a Friday night. That would be great if we get a fair turn out. I would be happy playing there three or four times a year. Plus the same at a couple of other spots that would be very cool in my eyes. I do not have big dreams about the music world. any more no, fantasies. I want to make good music, enjoy it and make some money enough to cover expenses…would be nice. I am understanding it will take a couple of bands to make this happen, the NihonDo.